Diabetes camp is one of the best experiences that a child with diabetes can have. Camp is a place to learn self-confidence, independence from mom and dad, to be with other kids with diabetes ... and simply to have a great time. It's also an excellent opportunity for mom and dad to take a break from the day-to-day of diabetes management. Almost all camps provide financial assistance to kids who are unable to pay the full camp fees. Check out the links below to find a diabetes camp near you (camp information for 2019 is being updated daily - check back regularly), get information on financial assistance, and read stories from campers about why diabetes camp matters. Camp Seale Harris - "Camp Seale Harris is living well! Hundreds of youth with diabetes come each year to Camp Seale Harris for a medically-supervised, fun camp experience and family connection to year-round support that helps them fight diabetes every day." Camp K- "Alaska Diabetes Camp at Camp K on Kenai Lake provides one of Alaska's most rustic and natural settings where campers can explore the wild world around them, develop outdoor skills, make new friends and have a good time." Camp AZDA at Friendly Pines Camp - "For 40 years, the American Diabetes Association's Camp AZDA has been offering a camping experience for youth. Camp AZDA is held at the Friendly Pines Camp facility, located in the tall pines of the Bradshaw Mountains, six miles outside Prescott. Our Teen Adventure Program (TAP) is nearby at the Bradshaw Pines facility. This residential camp provides a week of activities such as horseback riding, fishing, water sports, high ropes course, climbing wall, arts and crafts, and much more. The facilities include cabin villages accommodating various age groups for boys and girls and a family-style dining hall. Older campers will also enjoy overnight campouts and a challenge course. Friendly Pines Camp is accredited by the American Camp Association." Bearskin Meadow Camp - Diabetes Youth Families programs are available in various locations around California throughout the year for children, teens, and families affected by type I diabetes. Browse their online schedule (linked) for dates and details. Camp Conrad Chinnock - Camp schedule is available online, with links to tuitions and feed, as well as forms and packing lists. PADRE Foundation’s Catalina Island Adventure Camp - The PADRE Foundation Catalina Island Adventure Camp is a weekend getaway of team-building challenges, marine activities and diabetes education. The program offers a variety of opportunities for personal growth for youth 11-16 years of age and their friends with or without type 1 diabetes. Camp Colorado - "Empowered adventure. This is the rally cry of Association Camp Colorado. We provide one Association-trained diabetes counselor for every four campers and then add an additional program counselor just to ensure a safe good time! Camp Colorado is a non-intimidating place to expand your knowledge of diabetes while making new friends and creating experiences you'll be telling other people about for years to come." Camp Kick Start - "The purpose of the American Diabetes Association, Southern Colorado Camp Kick Start Day Camp is to provide a unique recreational and educational experience for grade school children with diabetes. With guidance from the camp staff and teen counselors, day campers learn to participate in various camping activities including swimming, sports and much more while developing independence and skills in caring for their diabetes." Camp Possibilities - "At Camp Possibilities we offer swimming, fishing, arts and crafts, basketball, field games, nature walks, talent shows, dances and many other activities. Camp Possibilities also educates their campers through dedicated support sessions that are informative and encouraging. Throughout any given day at camp, children will frequently interact with our medical staff and counselors where personalized information about managing diabetes is shared with them." Kamp for Kids - "Begun as a small initiative with 16 campers, our numbers and scope have grown tremendously. The camp is the clinical component of a University of Delaware course entitled Teaching Wellness to Children. The nursing and nutrition students learn about the condition of diabetes and its treatment, then plan and implement the camp to learn even more about living with diabetes. This provides the real-world application of classroom concepts." Camp Jada - "With guidance from camp staff, our campers are encouraged to participate in a variety of fun activities while developing the independence and confidence necessary for successfully managing their diabetes. Sharing experiences with other campers who live a similar lifestyle encourages acceptance and promotes a positive self-image, while also achieving your child's main goal in attending camp – having fun!" Florida's Diabetes Camp - "Our camps provide a fun, safe, educational and diabetes friendly environment for children with type 1 diabetes and their families where youth gain the confidence, skills and knowledge to achieve their full potential." Camp Kudzu - "Camp Kudzu is a nonprofit organization serving children and teens living with type 1 diabetes. The life-altering diagnosis of type 1 diabetes can be isolating and overwhelming- adding new and critical things to a child’s daily routine. Day-to-day diabetes management requires the entire family, from checking blood sugar, counting carbohydrates, dosing insulin and adjusting for physical activity. Camp Kudzu supports over 840 children, teens, and families by providing camping experiences and educational opportunities at various camps in Georgia." Kiki's Kids Camps - "Kiki's Kids Camp is a four-day summer camp for youth between the ages of 6 - 12 who have been diagnosed with type 1 diabetes." Camp Hodia - "Camp Hodia is fun and offers kids the opportunity to share common experiences, meet others with diabetes, and form meaningful friendships. For many campers this is their first time away from home. Our programs strive to foster self-esteem and self-reliance in a safe, healthy environment." Slam Dunk for Diabetes - Slam Dunk for Diabetes® Basketball Day Camp is free to eligible kids ages 5 through 18 who have been diagnosed with diabetes. Camp John Warvel - "Children with either type 1 or type 2 diabetes are welcome to attend this week-long residential camp, which includes 24-hour medical supervision by some of the top diabetes health care professionals in the state." Diabetes Youth Foundation - "Each year, hundreds of children and teens with diabetes from all over Indiana call Camp Until A Cure home for the month of June. While at camp, they swim, hike, do arts & crafts, take creek walks, play paintball, climb the ropes course, have campfires with songs and skits, do activities centered around diabetes management and skills, and much more!" Camp Hetko Hollow - "Camp Hertko Hollow is dedicated to improving the lives of children and youth who have diabetes. The goals at camp are: Recreation, Education, Regulation and FUN! Campers enjoy the traditional camp activities while learning about living with diabetes. Meeting other youth and counselors who have diabetes is also a great benefit of the experience." Camp Planet D - "The American Diabetes Association's residential camp program for children with diabetes is held at the Tall Oaks Conference Center property which is owned and operated by the Christian Church of Greater Kansas City. Camp offers children with diabetes the opportunity to learn how to enjoy a healthy, active lifestyle while managing their diabetes." Camp Hendon - "At Camp Hendon we give children with diabetes a life changing experience that empowers them to take control of their journey with diabetes during a week-long residential camp." Camp Carefree - "Camp Carefree is a vibrant residential camp for children with diabetes. Emphasis is given to creating a warm atmosphere of caring and cooperation to provide a fun filled, healthy, and educational experience for our campers that will help them to develop and maintain active, healthy lifestyles. The two-week camp is designed for 120 campers, and six to eight counselors-in-training (CITs). There is a ratio of one staff member for every five campers." Waiting on 2019 schedule to be announced. Diabetes Destiny - "Our mission is to teach children and young adults with type 1 diabetes to achieve healthy glucose control in the extremes of activity, exercise and fitness." Lions Camp Merrick/Glyndon Diabetes Program - "LCM is a special place, a unique haven for children in today’s fast-paced world. Here campers laugh, learn, and live together as they enjoy the pleasures of summertime friendship and fun. They build skills and character, and create remarkable friendships and memories that will last a lifetime." 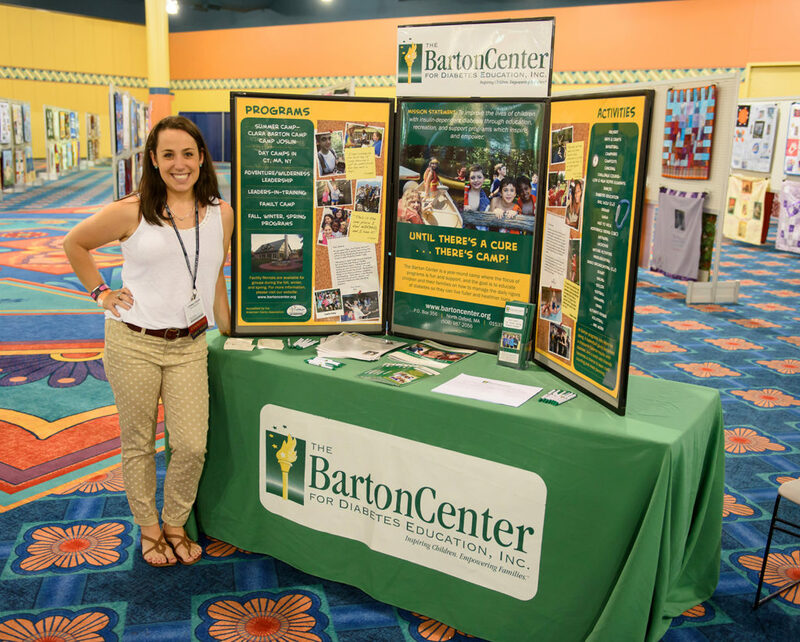 The Barton Center - "Our programs focus on fun and support; the goal is to educate children and their families on how to manage the daily rigors of diabetes, so they can live fuller and healthier lives." Camp Midicha - "Camp Copneconic partners with Camp Midicha to provide campsite, dining, accommodations, program and counselor staff. Camp Copneconic is located in Fenton, just south of Flint, Michigan. All our staff, from the directors and administrators to the counselors, specialists and support staff, work hard to make sure your child has fun in a safe environment. Our staff has training in diabetes management, emergency procedures and cabin supervision. Every counselor goes through extensive training by the YMCA, addressing team building, homesickness and behavior management." Camp Sweet Life - "At Camp Sweet Life, we transform the lives of young people with Type 1 Diabetes and their families by providing fun opportunities for learning, connecting, and sharing. Camp Sweet life is the first camp for kids with diabetes in Minnesota and the goal of camp is for kids to have outdoor fun just like any other kid. For more information please click on one of the links above or on the right!" Camp Daypoint - Camp Daypoint is a day camp adventure for children ages 5 to 9. The perfect introduction to camp, Camp Daypoint is non-stop fun in a comforting environment. Small groups, each with two leaders, give children the attention they need during swimming, crafts, hikes, games and other activities. Amid all the fun, campers gain independence, grow in confidence, discover new skills and learn respect for others and the outdoors. Camp Daypoint also eases the transition to Camp Needlepoint, the residential program. Children are at the camp from about 9:00 a.m to 3:30 p.m. Buses pick up and return campers to Minneapolis and St. Paul locations." Waiting for 2019 dates to be announced. Camp Hopewell - "Children and youth with type 1 diabetes can enjoy all of the fun of summer camp while learning more about living with diabetes. One of the great things for the camper is that living with diabetes is the norm for the week, so everyone counts carbs, checks blood sugars, and tries to balance food, insulin, exercise and loads of fun! Campers are encouraged to develop age appropriate responsibilities for maintaining their diabetes. A resident physician, several nurses, a licensed dietitian and other support staff with and without diabetes will provide care during this rewarding camp session." Camp Hickory Hill - "Camp Hickory Hill sustains a community, culture and medically-sound program of support for persons with diabetes, especially children, using our camp environment to foster education, self-reliance, confidence, an active lifestyle and skill in the successful management of diabetes." Camp Montana - "The American Diabetes Association Montana Camp is held at Beartooth Mountain Christian Camp property outside of Fishtail. Beartooth Christian Camp provides services for the American Diabetes Association Camp Montana on a contract basis. Beartooth Christian Camp includes heated dormitories with indoor bathroom facilities, a main lodge and dining hall." Waiting for 2019 dates to be announced. Camp Hot Shots - "Welcome to Camp Hot Shots! Camp is a great opportunity for children ages 6-11 with type 1 diabetes to make new friends and learn to better manage their diabetes." Camp Floyd Rogers - "Camp Floyd Rogers is an exciting overnight summer camp experience for youth living with Diabetes. The camp is held at a beautiful camp site just outside of Gretna, Nebraska. For one week in June, over one hundred youth aged eight to seventeen take up residence to make friends, enjoy summer activities, and learn more about diabetes. These children, whose disease often leaves them feeling isolated or different, enjoy a sense of community and inclusiveness at camp." Family Camp - Join the NDA/CDA for the Terry Lee Wells Family Camp at the Nevada 4-H Campsite in beautiful South Lake Tahoe. This camp is perfect for newly diagnosed families and friends to get critical education when starting out with diabetes. This camp also helps seasoned families and friends get advanced questions answered in a casual setting. All ages and family sizes are welcomed. More information on their website. Camp Vegas - "The Nevada Diabetes Association brings to you Camp Vegas. This is a camp for children with diabetes ages 7 - 14 and CITs (counselors-in-training) ages 15 - 17. Located approximately 30 miles southwest of Las Vegas at the beautiful, well kept Potosi Pines located at Mt. Potosi. The camp program provides a week of activities, education, and programs for children and teens with diabetes in southern Nevada and neighboring communities." Camp Carefree - "Camp Carefree is a vibrant residential camp for children with diabetes. Emphasis is given to creating a warm atmosphere of caring and cooperation to provide a fun filled, healthy, and educational experience for our campers that will help them to develop and maintain active, healthy lifestyles. The two-week camp is designed for 120 campers, and six to eight counselors-in-training (CITs). There is a ratio of one staff member for every five campers." Waiting for 2019 dates to be announced. Camp Nejeda - "Camp Nejeda has been providing empowering summer camp and other programs for children with type 1 diabetes and their families since 1958. In addition to providing eight weeks of traditional Summer Sleep-Away camp, Camp Nejeda offers Family Camps, Day Camps, Spring and Fall weekend programs, T1D Adult Weekend, Nurse Education seminars and much more. Please explore our website and don't hesitate to contact us with any questions!" Camp 180° - "The main goal of the program at the American Diabetes Association's Camp 180° is to allow the campers the ability to feel at ease and "accepted" in a community where having diabetes is the rule, not the exception. The campers learn to understand diabetes and the process of self-management, under skilled and continuous medical supervision. It is the hope of the staff that these children go home feeling more self-confident, self-reliant and having gained the knowledge they need to live successful, full lives with diabetes. We want them to be able to say, "I went to camp and had fun!" Many of these children come to camp not knowing any other people with diabetes, especially other kids like themselves. There are friendships made, which quite frankly, last a lifetime!" Camp New Day - "Each summer, Camp New Day offers a local camp for children with diabetes in West Texas and Eastern New Mexico. The one-week camp is an effort to provide a camp close to home, making it easier for children and teens to attend." Robert K. Sweeney Day Camp - "A recreational program for children ages 5 - 12 with diabetes, that provides a chance to meet other children with diabetes in a fun, non-clinical atmosphere." Camp Nejeda Day Camps - "Kids with type 1 diabetes have been calling Camp Nejeda their home away from home since 1958, returning each summer for a fun experience and a chance to just be kids with without having the worries associated with living with type 1 diabetes. Camp Nejeda's Day Camp programs bring the tradition of summer camp fun to you! Campers will enjoy outdoor games, activities, and field trips while under the supervision of our counselors and medical staff." Camp Aspire - "Camp Aspire was established in 1982 and serves more than 200 campers each year. Each summer we host campers at the Rotary Sunshine Campus, an American Camping Association certified camp, with 157 acres of beautiful land to enjoy. This woodland setting is a wonderful place to enjoy nature just outside Rochester, NY where campers will enjoy an Olympic sized swimming pool, fully-accessible wooden treehouse, rock climbing wall, zip-line, archery course, and tons of other fun activities." Camp Carolina Trails - "The American Diabetes Association Camp Carolina Trails is an exciting week of summer fun for boys and girls entering grades 3 through 11. Camp includes many sports and activities such as swimming, hiking, canoeing, and arts and crafts. It will be held at YMCA Camp Hanes on 400 acres next to Hanging Rock State Park. Nestled on a quiet hillside in the heart of Sauertown Mountains, Camp Hanes is a perfect setting for a week of adventure, education and friendship. The residential camp currently houses 180 youth. Campers are housed in well maintained cabins with adult chaperones. Experienced personnel include a complete medical staff of pediatric endocrinologists, physician assistants, registered nurses and registered dietitians, many of whom are also certified diabetes educators." Camp Needles in the Pines - "Camp Needles in the Pines, located in Eastern North Carolina, is a one week residential camp for children with type 1 diabetes ages 8 to 14 years." Camp Morris - "Camp Morris is a brand new, one-week, action packed summer camp serving youth living with diabetes. Kids and teens looking to experience an independent camp program will find this week chock-full of excitement, friendship, and learning opportunities. Campers are assigned cabins by age and supervised by experienced counselors (many of whom are living with diabetes themselves) and a dedicated team of healthcare professionals including: pediatric endocrinologists; registered nurses; registered dietitians; pharmacists; and certified diabetes educators. Camp Morris is a “challenge-by-choice” environment where campers have the opportunity to participate in traditional camp activities that include: archery; canoeing; camp fires; swimming; zip-lines; arts and crafts; multiple challenge courses; and so much more! 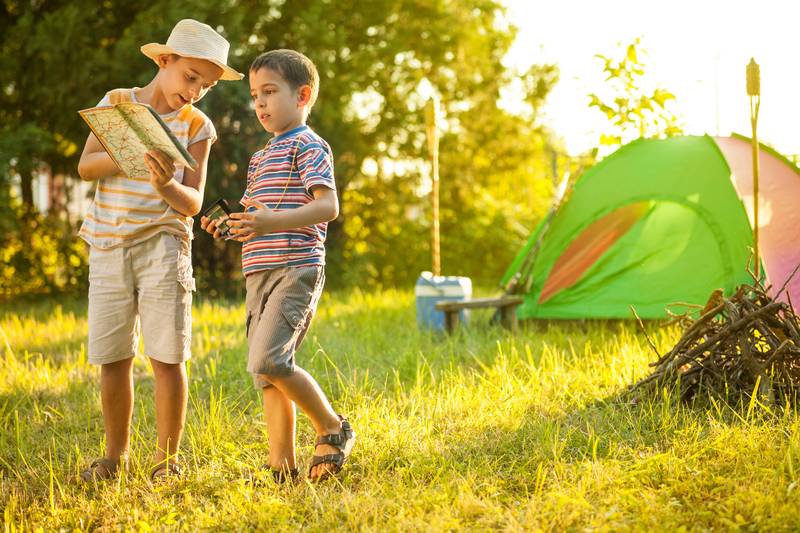 Our staff and volunteers are experts at “meeting campers where they’re at,” using teachable moments throughout the week to promote healthy, age-appropriate independence in diabetes management." Camp Sioux - "The purpose of Camp Sioux is to provide a fun and safe camping experience for children living with diabetes. We want to give kids the opportunity to meet other kids just like them as well as help them gain confidence and independence in managing their diabetes." Waiting for 2019 dates to be announced. Camp Big Shots/Middle Shots/Little Shots - "Camp is all about firsts! We take every opportunity to encourage the kids to try new ways to manage their diabetes. Campers experience a wide variety of fun firsts outside of their diabetes as well – first time staying away from home, climbing the alpine tower, archery, or fishing. They will have a blast enjoying all the fun activities camp has to offer and learn strategies for managing diabetes." Camp Ho Mita Koda - Camp Ho Mita Koda is a coed summer camp for kids and teens with Type 1 Diabetes. Located in Newbury, Ohio, our overnight camp welcomes boys and girls in grades K-11 for one-week sessions. Founded in 1929, Camp Ho Mita Koda is the very first and oldest operating summer camp in the country for kids with T1D!" Camp Korelitz - Camp Korelitz is a week-long residential camp for children living with type 1 or type 2 diabetes. Camp Korelitz will be held at beautiful Camp Joy, a 315 acre camp site nestled in the beautiful rolling hills of Warren County in Clarksville, Ohio between Cincinnati and Dayton. Camp Hamwi - "From beginners to more practiced individuals, Camp Hamwi offers a diverse program for any skill level. The camp environment promotes a sense of team spirit and good sportsmanship in individual and group activities, and competitive and non-competitive challenges. Campers are encouraged to try new skills, and explore their unique individual potentials. Activity options include horseback riding, archery, volleyball, soccer, canoeing, swimming, arts and crafts, drama, dance, outdoor living skills, nature crafts, and outdoor adventure. Incorporated into the daily schedule are diabetes education sessions to increase campers’ understanding of diabetes. Each week, the program is specially designed to address the interests of a particular age group." Camp Ko Man She - "Diabetes Dayton has been offering summer camp for children for over fifty years. Our goal is to offer children living with Type 1 diabetes an opportunity to enjoy a fun outdoor experience with other children like themselves in a safe, medically supervised setting." Camp Endres - "Camp Endres Day Camp is a camp for children with diabetes that fosters increased confidence and self-esteem, responsibility and age appropriate independence in diabetes care. Campers enjoy traditional indoor and outdoor activities while meeting other children with diabetes. Campers may bring a brother or sister who is also 4-9 years old. All campers, with and without diabetes, are grouped according to age." Gales Creek Camp - "Gales Creek Camp is a place where children and teenagers with type 1 diabetes from all over the Pacific Northwest have a blast while connecting with other kids living with the same challenges." Chris Dudley Basketball Camp - "The Chris Dudley Basketball Camp is a week-long overnight camp for children with type 1 diabetes between the ages of 10 and 17. Camp gives youth a sense of how to play a vigorous sport while managing their diabetes and connects them with others who understand the day-to-day challenges of diabetes." Camp Freedom - "Camp Freedom is a resident camp program for boys and girls ages 7 to 16. We offers a wide range of activities, including swimming, sports, horseback riding, zip lining, arts and crafts, cooking, campfire activities and more!" Waiting on 2019 dates to be announced. Camp Setebaid - "Our primary goal is to enhance the quality of life for youth living with diabetes and their families, and provide them with enjoyable summer camp experiences which are shared with their peers. Our programs aim to promote a healthy lifestyle while fostering a community of support from families who face similar challenges on a daily basis." Keystone Diabetic Kids Camp - "Camp is place where kids can just be kids. It is designed to be a week of fun, giving campers an opportunity to build new relationships with other kids living with type 1 diabetes. The KDKC helps them see that they can still do everything that kids like to do." Diabetes Training Camp (ADULTS) - "You get it. We get it, too. Come experience that magic." Camp Courage - "Management is provided by a highly competent staff of pediatric physicians, pediatric certified diabetes nurse educators, dietitians, and counselors. Medical staff and counselors strive to make the "home away from home" camp experience one which teaches techniques for managing nutrition, exercise and medications. On-site medical staff will evaluate each child's medical status, dietary intake and daily activities. Dietitians have carefully planned meals and snacks to provide optimal nutritional quality and camper appeal." Waiting on 2019 dates to be announced. Camp Surefire - "Camp Surefire has a full staff of volunteer counselors and medical professionals who work around the clock to keep our campers happy and safe. While at camp, kids meet other kids with diabetes, and learn from older campers, counselors, and staff. Many of our campers have grown to become counselors, and serve as role models for the next generation." Camp Sweet Escape - "There are many benefits to sending your child to Camp Sweet Escape. Camp allows kids with diabetes to be kids, to be “normal”. Everyone at camp is checking blood sugars, counting carbs, and taking insulin. Camp helps develop social skills and builds friendships that last a lifetime. The overnight camping experience helps these kids build confidence and self-esteem, which leads to independence in the future." Camps KUDOS (Kids Understanding Diabetes with Our Support) - Staffed with nurses, doctors, dietitians and counselors, all donating their time, Camp KUDOS provides an environment where these kids with Type I Diabetes don't feel "different." Camp Adam Fisher - "Camp Adam Fisher is the carolinas largest camp for children with diabetes, their brothers, sisters and friends. We are located on Lake Marion in Summerton, SC." Camp Gilbert - "Camp Gilbert is a safe community of connection and education for children living with type 1 diabetes. At camp children ages 8-18 have the opportunity to make lasting friendships with others who have diabetes. There are water activities, boating, fireside sing-a-longs, games, and more! This is a time for learning, with educational sessions covering nutrition, exercise, and lifestyle management." Tennessee Camp for Diabetic Children - "Tennessee Camp for Diabetic Children (TCDC) is a summer camp for children 8 to 15 years old with Type 1 diabetes. Each camp session TCDC hosts up to 90 campers with Type 1 diabetes. Using games, hands-on assistance and videos, campers learn procedures and techniques for achieving daily glucose control all while making friends and having fun participating in summer camp activities." Camp Sugar Falls - "Each summer, the American Diabetes Association's Camp Sugar Falls provides children with diabetes in the mid-Tennessee area a special place to play, laugh, share and learn about diabetes management. Camp Sugar Falls is a day-camp experience for children ages 6 to 17 that have been diagnosed with type 1 or type 2 diabetes. The camp offers an exciting week of recreational and educational activities that focus on nutrition, lifestyle habits, self-esteem and team building." Camp Bluebonnet - "Camp Bluebonnet is a weeklong day camp for kids with diabetes and their siblings." Camp Sweeney - "A diagnosis of Type 1 diabetes changes the life of a child forever. Days filled with school, sports, and activities are quickly replaced by blood tests, insulin injections, and carbohydrate calculations. Every step required to manage their diabetes is a step away from what children see as “normal.” But at Camp Sweeney, Type 1 diabetes is normal. And when diabetes disappears, every camper can show what makes them special, not what makes them different." Camp Rainbow - "Camp Rainbow is a 4-day day camp held at Victory Camp in Alvin, TX. At Camp Rainbow, your camper will participate in fun activities like swimming, canoeing, and much more, while developing independence and confidence in caring for their diabetes. During camp, your camper will be provided snacks and cold beverages. All campers need to bring their lunch each day, except Thursday. We hope this will be an educational and FUN experience for your child!" Texas Lions Camp - "At Texas Lions Camp, we view camp as a time for campers to explore, exercise curiosity, and discover new interests and abilities. We want campers to attempt things that would normally be out of their reach, such as riding a horse, or rock climbing on our ropes course, or just being part of a team." Camp ICANDO - "Camp ICANDO is a program that combines recreational activities with informal educational group sessions related to diabetes. 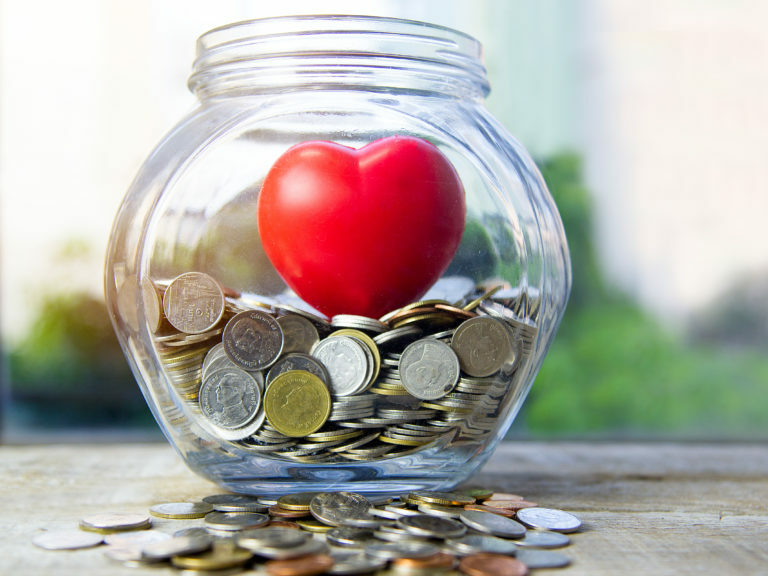 Our goals include helping children build self-esteem while learning how to take age appropriate responsibility for their own diabetes management. This is the perfect social setting away from home where kids can feel just like their new friends. Any child with diabetes, ages 5 to 12." Barton Center Vermont Overnight Camp - "Barton will once again be teaming up with SLAMDiabetes to bring the fun and excitement of camp to kids in northern New England. The Barton overnight camp program in Vermont was a huge hit with those attending the program in 2018. This program is just a short ride from Burlington, Vermont, and easily accessible from upstate New York, northern New Hampshire and Montreal. Located on the brand new, spacious Camp Ta-Kum-Ta camp grounds, Barton campers will experience the outdoors, enjoy swimming, arts and crafts, and crazy camp games along with diabetes education!" Camp Jordan - "Camp Jordan is a sleepover camp experience for kids with diabetes who are entering grades 6- 12 in September 2019. Since it's inception in 1966 by the West Central Richmond Optimist's Club, we offer traditional camp activities and our small group model allows participants the opportunity to forge friendships with others who understand the challenges of having diabetes. The campers are supervised by caring counselors and there are experienced medical professionals on site 24/7." Camp Too-Sweet - "All campers have diabetes, so children won't feel alone or different. We provide positive role models to help kids establish healthy habits that will last a lifetime. Camp Too Sweet focuses on helping campers accept their diabetes, teaching them how to live a healthy lifestyle—and most importantly, on having fun! Campers interact with other kids just like themselves, who are facing the same challenges, in the beautiful and exciting setting of our residential camp." Waiting for 2019 dates to be announced. Camp Sealth - "ADA Camp Sealth on Vashon Island is a magical place that’s completely unique in the U.S. Our overnight summer camp for kids with diabetes is the only one that offers kids with diabetes the opportunity to attend camp with their family and friends while still being fully supported in their diabetes management." Camp Leo - "Camp Leo is an oasis for hundreds of children every summer where they can forget about what separates them--not because we pretend diabetes doesn’t exist, but because everyone in the camp community shares in their experiences. At camp, diabetes becomes the NORM, not the EXCEPTION! We work hard at camp to create a safe and secure environment where campers can have a blast, meet others with diabetes, learn about their disease, and gain independence essential for living a healthy and happy life." Camp Stix - "We are a unique non-profit organization which offers an unparalleled camp experience for children living with Type 1 Diabetes (T1D). Our camps comprise of a week-long camp for children - ages 9-18, a 3-day non-residential day camp for kiddos ages 6-8, and we are developing an Adventure camp to keep older kids engaged with their T1D community. All camps are 100% volunteer operated with a nearly 1:1 ratio of campers to volunteers; including medical staff, social workers, cooks/kitchen and program staff and cabin sizes of 4-6 campers to counselor. We take pride in our ability to offer a traditional camp experience, while offering diabetes education and 24-7 medical care. Perhaps most importantly, STIX fosters the ability for these youth to build relationships and community, realizing they are not alone in living with T1D." Panther Day Camp - "A week long day camp in July, for children ages four through thirteen, with Type 1 Diabetes. Panther Day Camp will be held at Camp McCullough in Covington. For information on Camp McCullough, please visit their web site at: campmccullough.org There is a "gallery" showing pictures of their campground. The camp experience allows children with Type 1 Diabetes to meet other children with diabetes and talk with adults who have grown up with diabetes." Camp Kno-Koma - "Our Mission is to serve as a non-profit organization with the goal of providing Camp Kno-Koma, a summer camping experience for children with diabetes in and around the state of West Virginia." Camp Needlepoint - "The purpose of Camp Needlepoint is to provide a fun and safe camping experience for children living with diabetes. We want to give kids the opportunity to meet other kids just like them as well as help them gain confidence and independence in managing their diabetes." Camp Lakota - "Camp Lakota, a program of the American Diabetes Association-Wisconsin office, is held at the Wisconsin Lions Camp which is located in Rosholt, WI (17 miles northeast of Stevens Point, WI) and is offered to Wisconsin residents only. This includes a sparkling lake for boating, fishing and all water activities. There is hiking, climbing walls, archery, sailing, paddle boating and many other activities. A typical day includes swimming, education, boating, arts & crafts, having fun and making new friends." Waiting for 2019 dates to be announced. Camp Hope - "With hundreds of camps for children with diabetes throughout the country, why should you consider Camp Hope? Because we know of no other camp whose primary focus is on the emotional and psychological aspects of diabetes in young people. We prepare them to live with diabetes, not to simply control the disease."